The captivating city of Doha in the Persian Gulf, where traditional blends with modernity and east meets west, is home to the impressive Meliá Doha Hotel. As Meliá Hotels and Resorts’ first hotel in Qatar’s capital city, the contemporary resort has been designed to combine luxury and leisure for travellers who choose to stay for either business or pleasure. Located in one of the city’s most stunning skyscrapers, Meliá Doha offers more than 62,000sq m of luxurious space over 39 floors. With a total of 317 rooms, including 37 suites, the hotel boasts one of the five largest suites in the West Bay area of Doha on its top floor: the Royal Suite, which covers a total area of 436sq m. Meliá Doha is also home to the exclusive ‘the Level’ on its eighth floor; an area that provides exceptional and personalised services to its guests. 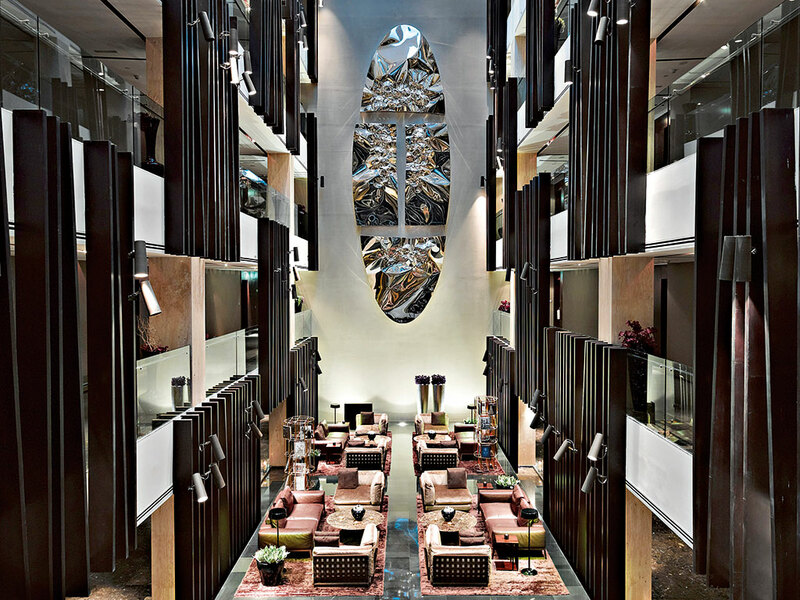 As the hotel is located just 15 minutes from Hamad International Airport, guests have easy access to the Corniche – the city’s waterfront promenade, which stretches for several kilometres along Doha Bay – and the city’s financial district, as well as being granted stunning views of the Doha skyline. A key part of the Meliá Doha experience is the cuisine: the hotel’s award-winning restaurant Signature, run by international chef Sanjeev Kapoor, serves an exquisite selection of traditional Indian dishes with a modern touch. The restaurant Aceite, meanwhile, faithfully reflects the hotel’s Spanish roots with a menu that features well-known tapas dishes, while Nidaaya offers a buffet of international dishes. Alternatively, café RiQQa, cocktail bar Noir and Le Pool Club are ideal options for guests looking to enjoy a drink or a snack in a more relaxed environment. Guests can also visit the pool on the third floor of the hotel, or the spa and fitness area, which is equipped with the latest fitness technology. The first Spanish hotel in the Middle East, Meliá Dubai combines a modernist aesthetic with touches of cultural tradition, creating an urban oasis in the centre of the city. Situated in the heart of the historic Bur Dubai district, Meliá Dubai was designed by renowned architect Marco Mangili, who infused every corner of the building with his characteristic avant-garde style. The hotel’s 164 rooms and suites are each equipped with a full range of premium facilities that combine luxurious refinement with utmost comfort. The use of warm colours, plush fabrics and carefully selected furnishings create a truly relaxing environment for business and leisure guests alike. Meliá Dubai also offers the Level experience, bringing a new dimension of warmth and Spanish hospitality to Dubai. The hotel offers a wide range of cuisine: Meliá Dubai boasts its own Signature Indian restaurant, also headed by Sanjeev Kapoor, while Azalya restaurant offers an international buffet and enables diners to watch their food being cooked. The latest addition to the hotel is the bar Alfonso X, where guests can enjoy sushi and sashimi paired with a selection of modern cocktails. There is also a smoking lounge for those wishing to enjoy the finest cigars from Cuba, Costa Rica and the Dominican Republic. For travelling sport fans, the Quantum bar screens live sporting events in a lively atmosphere, providing the perfect venue for meeting up with friends or colleagues. On the hotel terrace, guests can relax by the pool and try a drink from Estrella while admiring the breathtaking views of the city. Lastly, the YHI Spa offers a vast array of treatments and first-rate facilities, giving guests a place to switch off and restore balance to their mind and body.